Note that you’ll automatically be subscribed to their newsletter but you may unsubscribe at anytime. 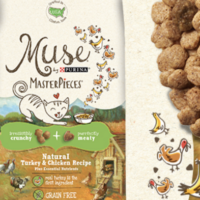 This new product is a natural dry cat food with a mix of irresistibly crunchy and perfectly meaty bites. Allow 6 to 8 weeks for delivery!